Paris terror suspect Hayat Boumeddiene's escape from France to Syria by way of Turkey has renewed focus on the bureaucratic quagmire that the Turkish-Syrian border has become, where officials face the gargantuan task of tracking thousands of potential militants. Her arrival drew a harsh rebuke from the Syrian government, which accused its neighbor of a “destructive policy” that allows “terrorists” free access to Syria. For months, world leaders from Europe, the U.S. and the Middle East have debated Turkey's political will to combat radical Islam amid a growing terror campaign conducted by Islamic State militants based in Syria and Iraq. Boumeddiene, 26, was the common-law wife and a purported accomplice of Amedy Coulibaly, an Islamic State group sympathizer who gunned down at least two people at a Paris kosher supermarket last Friday and held several others at gunpoint before he was killed in a raid by French police. Coulibaly said before his death that he had coordinated his terror attack with Said and Cherif Kouachi, the French citizens and brothers held responsible for the massacre that left 12 people dead at the headquarters of satirical magazine Charlie Hebdo in Paris last Wednesday. 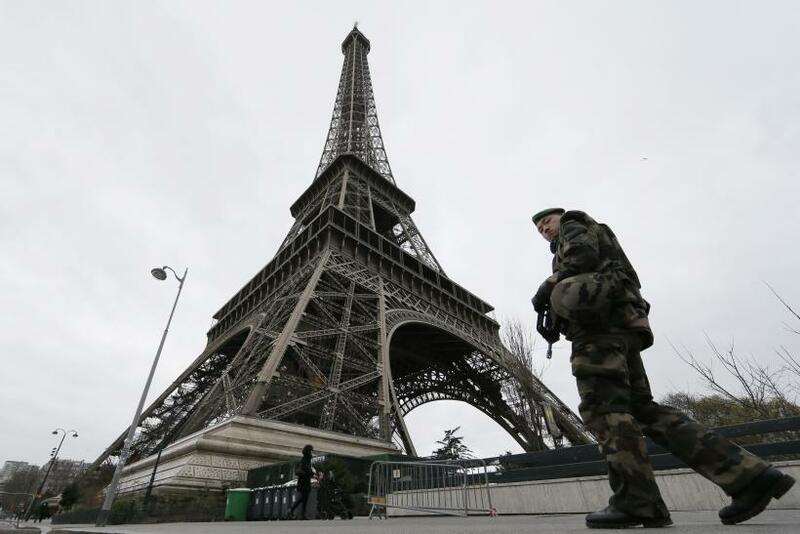 French authorities initially suspected that Boumeddiene was with Coulibaly when he allegedly shot and killed a Paris policewoman last Thursday. But the Turkish government confirmed Monday that Boumeddiene flew from Madrid to Turkey on Jan. 2 and crossed into Syria last week, NBC News reports. Turkish intelligence officials tracked Boumeddiene’s movements, but chose not to detain her because she did not behave in a suspicious manner and because France never asked for her to be arrested. Surveillance footage shows Boumeddiene calmly passing through passport control at an airport in Istanbul, Sky News reports. The hundreds of French police and soldiers who combed the streets of Paris last week looking for Boumeddiene were chasing someone who was long gone. Such criticism is not new for Turkey, whose participation in U.S. President Barack Obama’s anti-ISIS coalition is often decried as nominal at best. The Turkish Parliament overwhelmingly approved in October a measure that solidified the nation’s participation in action against the Islamic State group, but has so far failed to take an active role in airstrikes or other military operations. Thousands of refugees have fled across the Turkish border to escape ISIS aggression – and thousands of foreign-born fighters have entered Syria and Iraq by the same path. The return of hundreds – if not thousands – of European-born radicals from the fighting in Syria to their home nations by way of Turkey is considered a major factor in the rise of “lone wolf” terrorism in Europe. Nearly 200 of these individuals were on French soil as of December, according to estimates provided by French authorities. Reports suggest both Said and Cherif Kouachi received training from radical elements overseas before returning to France to carry out the Charlie Hebdo shooting. Critics point to several reasons why Turkey is so reluctant to seal off its southern border. Davutoglu, who became prime minister after a rather demure tenure as foreign minister, has supported a non-confrontational foreign policy in recent years in a bid to benefit the Turkish economy. Others suggest that any measure aimed at curtailing the activities of militant elements within Syria would simultaneously bolster Assad’s government, to the detriment of Turkey’s interests. Communities of smugglers who subsisted for years by moving illicit contraband from nation to nation now perform the same task for foreign fighters, CBS News reported in September. Money, not ideology, rules the border. Turkey’s attitude toward ISIS has changed since June, when the militant group seized vast swathes of territory in Iraq and Syria in an attempt to establish a modern caliphate ruled by Shariah Islamic law. The Islamic State group now constitutes a serious threat to Turkey’s national security, with thousands of well-funded fighters stationed within miles of the border. Turkey has taken steps to aid Western powers in their battle against ISIS, but must toe a fine line because any action that significantly hampers ISIS activity could lead to open war between two sides that both seek Assad’s downfall – a lose-lose scenario for Turkish leaders, Mendelsohn said. Moreover, international attention on the apparent militant pipeline between Turkey and Syria gives Davutoglu and his compatriots a degree of leverage over the United States and the United Nations, Mendelsohn said. A game of quid pro quo ensues – Western support of measures against the Assad regime in exchange for enhanced Turkish attention to border security. “To a great extent, we need to understand that it’s also easy for intelligence agencies or for politicians in Western countries to push the blame away from their failures in identifying people leaving the country, heading to Turkey. That should be the first line of defense before you even start thinking about Turkey,” Mendelsohn said.